L.A. is for lovers—you just need to know where to look. 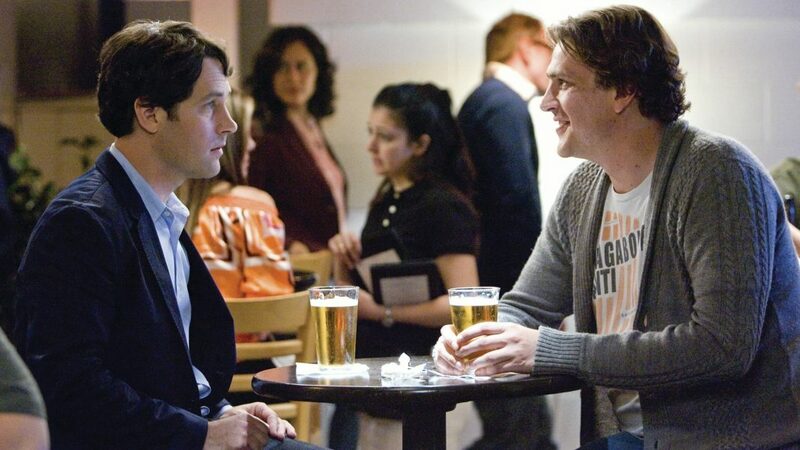 Start by reenacting the most romantic (and bromantic) scenes from film and TV all over town. Pop into Warner Bros. Stage 48 via a studio tour ($69) and copy Ross and Rachel’s first kiss from Friends—that laundromat peck so doesn’t count—on the Central Perk Café set, painstakingly re-created as part of the lot’s permanent Script to Screen exhibit. 3400 W. Riverside Dr., Burbank. Walk in Edward and Vivian’s Pretty Woman footsteps by attending a polo match at the Los Angeles Equestrian Center. Bonus points if you can score a fabulous brown-and-white polka-dot dress and matching hat. 480 Riverside Dr., Burbank. Grab a boom box, Peter Gabriel’s 1986 So album, and head to the main pathway at North Hollywood Recreation Center to pull a Lloyd Dobler (either with your ex or a Say Anything superfan). If you can’t procure a stereo to blast “In Your Eyes,” a smartphone will do in a pinch. 11430 Chandler Blvd., North Hollywood. On the hunt for “the best fish tacos in the world—Literally! Ranked!” and a BFF? Hightail it to the patio of James’ Beach, the landmark Dogtown eatery where Paul Rudd and Jason Segel began their epic bromance in I Love You, Man (above). 60 N. Venice Blvd., Venice. Take a turn around the dance floor at Cicada Restaurant and Club, where Brad Pitt and Angelina Jolie tangoed in Mr. and Mrs. Smith. Just leave your weaponry at home. 617 S. Olive St., downtown. Leslie Knope and Ben Wyatt made their romance official in “Indiana’s smallest park”—0.000003 square miles, to be exact—on a season 4 episode of Parks and Recreation. Seal your own reunion with a kiss at the real-life location: the northwestern-most parking spot of the lot behind Valley Stores Center Mall. (Heads up: There is no landscaping on the premises, small or otherwise. Where’s Leslie when you need her?) 4383 Tujunga Ave., Studio City. Cruel Intentions isn’t the most romantic movie, but it can lay claim to one of film’s most romantic scenes, in which Reese Witherspoon sees Ryan Phillippe waiting for her at the top of an escalator. Try the same trick in the very same spot: the top of the busy escalator on the first level of the 7th Street/Metro Center Station. 660 S. Figueroa St., downtown.